In How's My Kid Doing? 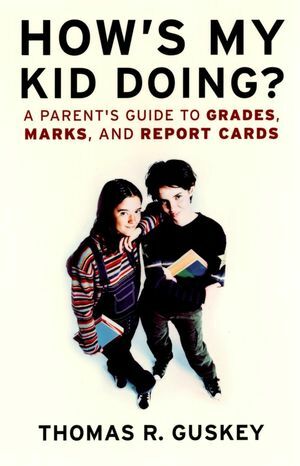 noted educator Thomas R. Guskey has created a practical handbook for parents who have trouble understanding their school-age children's grades, report cards, and test scores. This down-to-earth guide will help parents make sense of school reports and offers a helpful resource that can open communications between parents and teachers. Thomas R. Guskey is a professor of Educational Policy Studies and Evaluation at the University of Kentucky. He has taught at all school levels, worked as a school administrator in the Chicago Public Schools, and was the first director of the Center for the Improvement of Teaching and Learning, a national educational research center.